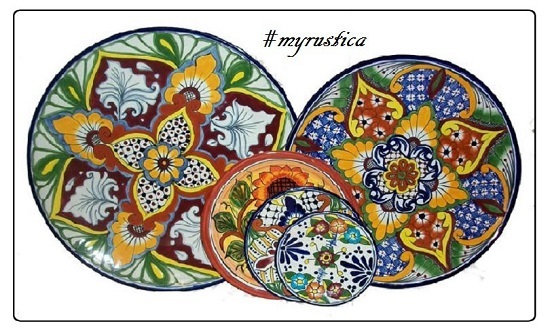 Mexican talavera plates are handcrafted in three sizes and used as rustic home decor accents. They come in three sizes and many colonial, hacienda and Mexican patterns. Back of the plaque is furnished with a ribbon allowing hang the plate on the wall. Decorative plates from Mexico are colorful, full of vivid colors. They can be used for displaying as rustic home accents or as dishes.